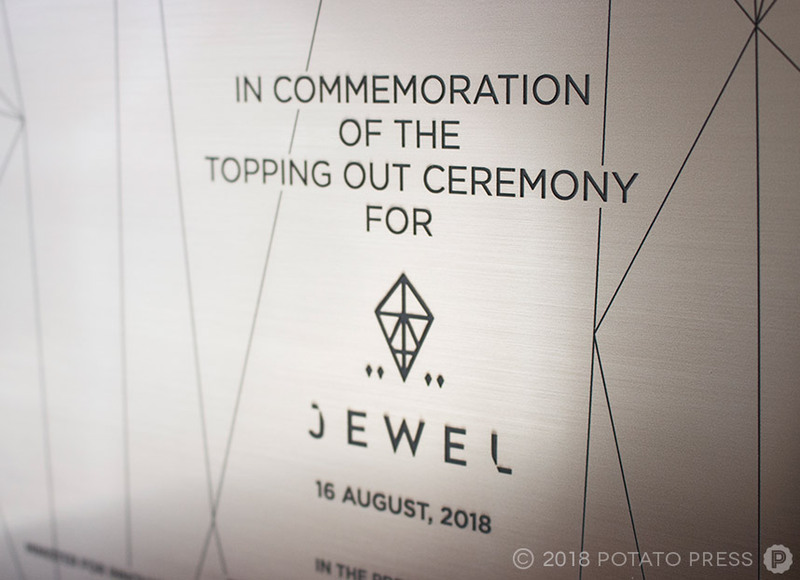 With many high-rises, new buildings and renovations being completed on the Gold Coast, a much anticipated project for the regions residents and tourists include the soon to be unveiled Jewel buildings. A project being completed by the Yuhu Group, they aim to produce these towers to exemplify elegance and sophistication with superb materials, texture, character and bespoke fixtures to create the ultimate expression in luxury and style. In August 2018 the tallest tower of the three reached a significant construction milestone and celebrated a topping out ceremony where a palm tree was lifted to the rooftop. 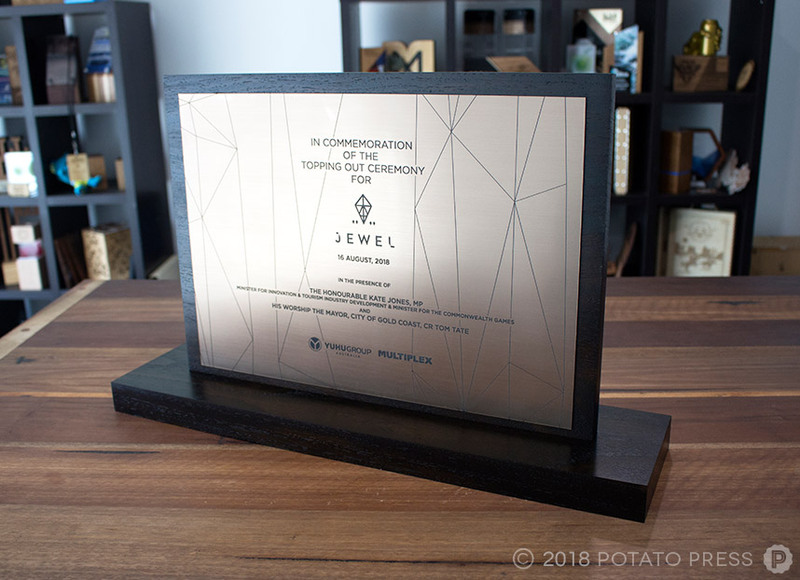 To mark the special occasion, DBI contacted us to create a bespoke high-end plaque to remain on the rooftop that reflected the style throughout the buildings, as well as also using products that were just as luxurious as the Jewel brand. The finished outcome was a solid timber stand with a solid timber insert with the option of hanging the piece up by a D-Ring at the back if the stand is not needed. Each piece had a black japan finish and a brass brushed acrylic with laser etching. Have something to unveil? We are here to help, contact us today so we can have a chat!